Now that you have found out about your town in its landscape, it’s time to explore the internal structure and appearance of your town; its buildings and spaces and how it has grown and developed. You’ll be thinking about your town’s character and sense of place. Character is the general atmosphere of a place and is at the heart of what makes small towns unique - no two places have the same atmosphere. Character is created by a wide range of factors: history, growth, town form, materials, details, colours and textures. Most towns have a long and varied history, with periods of growth and decline as their fortunes have changed. Understanding your town’s past can help to inform your vision for its future. It’s not only the buildings and spaces of your town that will tell you about its heritage, but folklore, myth and culture. Exploring local knowledge and history are important stages of research into what makes your town unique. Talk to local people about the town’s history, their stories and their experiences in your town. A good starting point is to gather historic maps; exploring maps from different periods will help you see how your town has evolved to its present form. Some maps are available online here, but there will be many in your local archives or records offices. 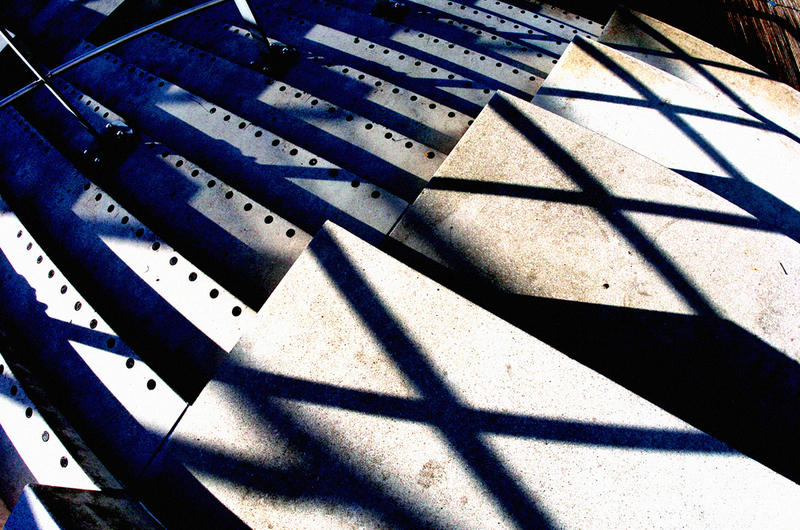 Try to identify patterns of building and phases of growth. Many towns have Conservation Areas, “areas of special architectural or historic interest the character or appearance of which it is desirable to preserve or enhance" . There are over 9,000 Conservation Areas in the UK, with more being added to the list. Similarly, individual buildings, sites or landscapes of special architectural or historic interest can be listed. This protects the special interest, and requires alteration or restoration to be carefully scrutinised by your Local Authority to ensure the unique nature of the building is maintained and enhanced. 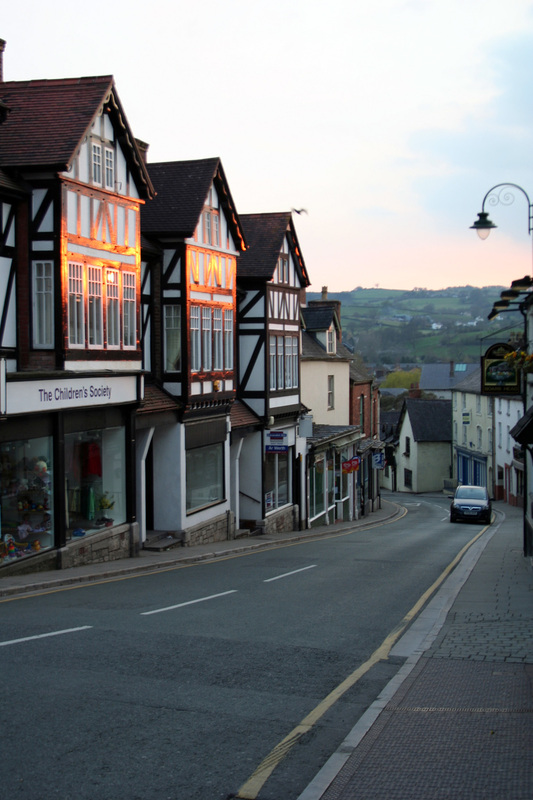 Information about Conservation Areas and listed buildings is readily available and provides a good indication of the historic importance of your town. Further information can be found from Cadw, local historians and civic societies and Local Planning Authority Conservation Officers. What is the history of your town? Does it have famous associations or events linked to it? What stories can be told? Where are historic buildings located? Are there any Conservation Areas or listed buildings? What form does your town take? Why is it set out like that? Phases of development up to the present day can be read through the ages of buildings and street patterns. The expansion or closure of industry, changes to agriculture, the arrival of toll roads, turnpikes, bypasses and motorways, the effect of two world wars, 20th century town expansion and the growth or decline of tourism have all had an impact on our towns. The density of buildings has an effect on the feel of a place. 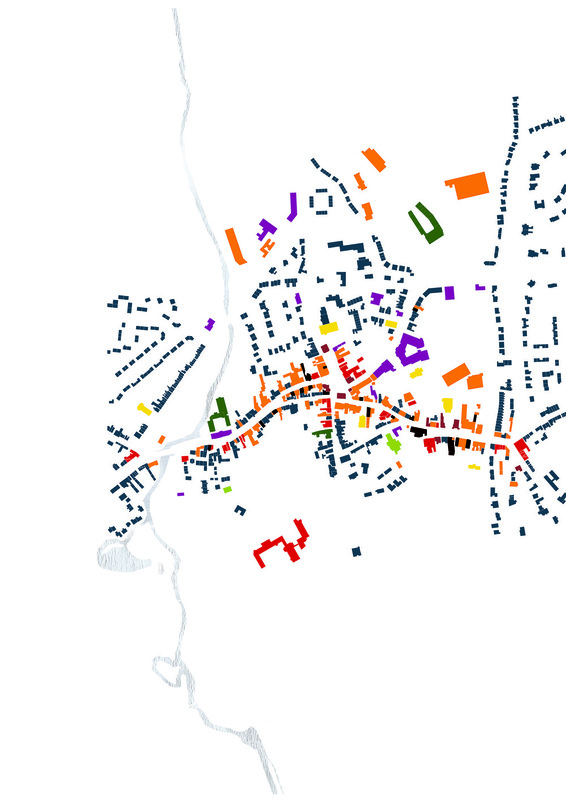 Some historic towns have very dense centres, with few gaps between buildings. Medieval plots were typically narrow and long with mixed uses- living, working and growing food all on one piece of land. Georgian and Victorian terraces form a strong edge along the street, with bay windows and porches providing relief. Suburban development has a much lower density, characterised by detached or semi-detached houses with front and back gardens and parking spaces on plot. The sense of enclosure in these estates feels very different to town centres. In many towns, development over the last 30 years has resulted in residential and retail development on the outskirts, connected to town centres through new roads. Developments such as supermarkets and retail units are often located away from town centres. Requiring large floor areas and large car parks, the edges of towns are ideal for these developments. While they bring benefits of convenience shopping and employment, supermarkets can attract shoppers and their purses away from high streets. Where is the centre of your town? Did it grow around one main building, for example a castle, market, industrial building or church? What is the pattern of development - is it linear along a valley, clustered around a crossroads or market, or does it sprawl? How dense is the town? Do all roads lead to the centre? How do routes cross the topography and watercourses? Did railways or canals have any impact on the town? What has happened in the 20th and 21st centuries? Has the town been added to gradually or in blocks? Where are new housing, employment and retail located? 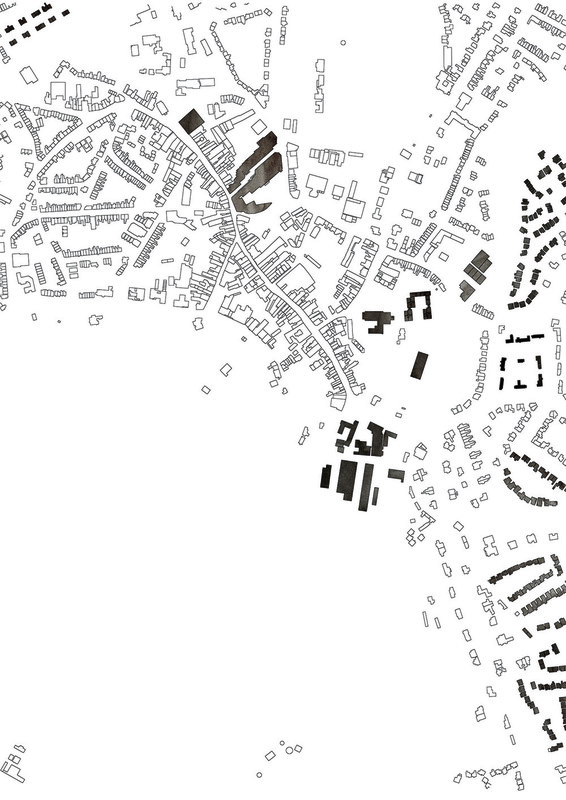 Identify patterns of building and development that make up your town: is it a linear, clustered, planned or combination town? Take a good look at the buildings that make up your town. Many towns have a distinctive character defined by centuries of building and rebuilding, renovating, changing and evolving. Character is enhanced by density, mixed use streets and vernacular architecture constructed using locally sourced materials. The buildings and spaces that form the fabric of your town present a series of townscapes viewed from different vantage points within the town. 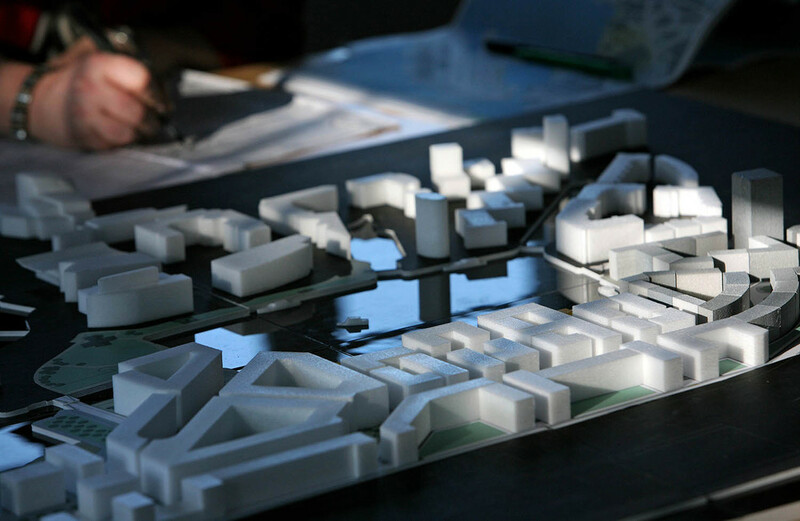 A first step toward understanding townscape is to identify the key elements that define your town’s character. This will help you identify areas that need improvement or regeneration. While the everyday buildings of many towns have similarities, the character of a town is perhaps best seen in its landmark buildings. Churches, town halls, schools, libraries and other public buildings are often unique and represent the town’s civic pride. Unique expressions of grandeur and power are often found in the best known buildings; giving the memorable ‘picture postcard’ view of the town. You will already have noticed which large buildings are visible from outside the town and those which stand out in the skyline. Newer buildings might infill gaps in your town, or they might only be found in new housing estates, retail and business parks and employment centres at the edges of your town. In the best examples, these developments draw inspiration from their surroundings, with high quality designs that respond to their place. In poor examples, these new buildings seem like they “could be anywhere”. What types of building are found in your town? What and where are the major public buildings and landmarks? Where are the largest and tallest buildings? Are there distinct differences between different parts of your town? Why might this be the case? How well cared for are the buildings? Look up - what is above street level? How many buildings are there per 100m? Do streets have hard edges (walls) or soft edges (hedges, railings)? Now take a closer look: What details, colours and textures give your town its unique character? Today, houses are finished in a wide range of materials, including brick, render, timber and tiles. 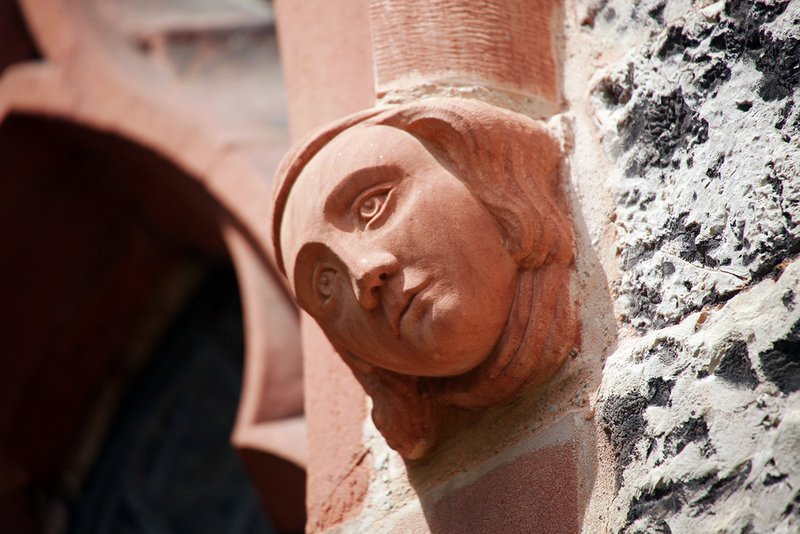 Important buildings, such as churches, chapels, town halls and the homes of wealthy residents, might stand out by using different materials or demonstrating higher quality craftsmanship. Medieval and industrial towns were usually built using readily available materials found within easy reach of the town. Medieval construction was typically carried out in stone or timber, before the growth of brick use in the Georgian period. Victorian housing is often constructed in brick or stone and some houses have since been pebble-dashed. The use of locally available materials or a defined palette of colours and textures - for example, the dark grey stone and slates characteristic of Dolgellau – gives an overall sense of unity. Small details can help create a unique sense of place and a strong character. In industrial towns, very uniform housing stock has been personalised through colourfully painted window sills, individual gardens, small buildings, and possessions placed in view. In Aberaeron, the bold use of colour on individual houses creates a strong identity that marks the town out from others. Similarly, in Aberdare, the preservation of carefully detailed Victorian shop fronts and signs creates a distinctive identity. What materials are used in your town (stone, slate, timber, render, pebbledash, cobbles)? What colours and textures is your town? What are the details or decorations that make your town unique? 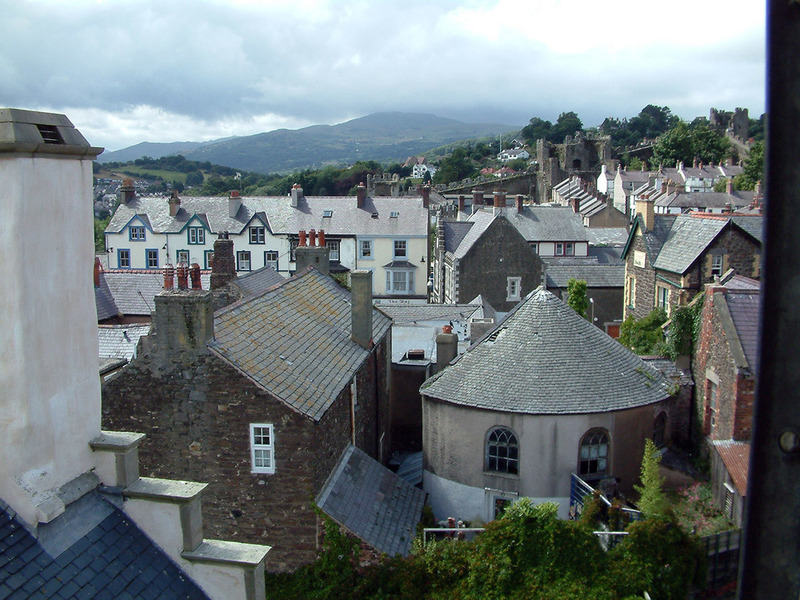 Cadw has been developing a method of assessing towns in Wales that aims to show what gives a place its unique identity and provide a baseline assessment of its value and character. This work is intended to ensure future planning and regeneration strategies strengthen local distinctiveness by identifying what makes a town special. 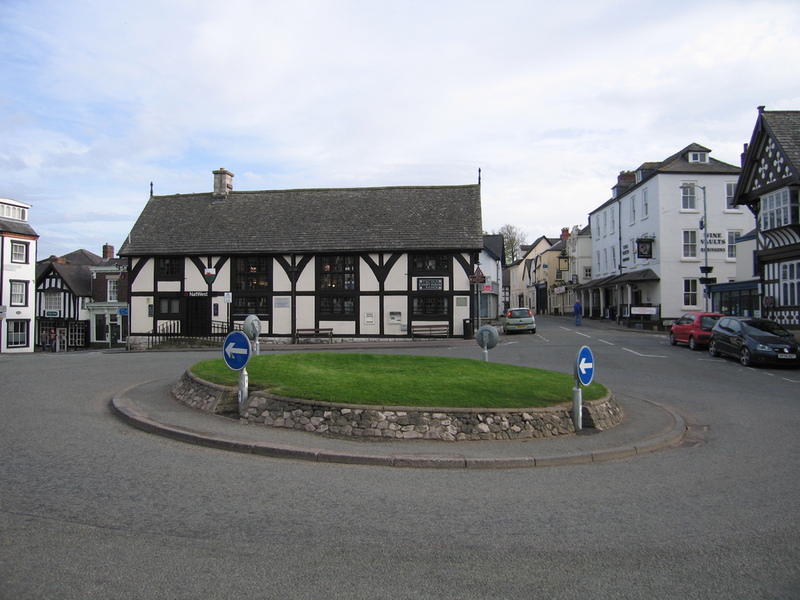 Royal Commission on the Ancient and Historic Monuments of Wales - Coflein is the online database for the National Monuments Record of Wales (NMRW), the national collection of information about the historic environment of Wales. Civic Trust Cymru - Civic Trust Cymru promotes civic pride as a means to improving the quality of life for all in the places where we live and work, and encourages community action, good design, sustainable development and respect for the built environment among people of all ages.